Key Difference: Kindergarten and nursery both denote a type of preschool that focuses on the children from three to five years of age. Generally, nursery is used to denote a preschool that focuses on the kids from three to five years. Kindergarten, on the other hand, denotes the first year of schooling. It focuses on 5 year old children. However, the usage of terms vary from country to country. Sometimes, the terms are also used interchangeably. School plays a vital role in a child’s life. This phase is regarded to be the most important phase in a person’s life. When a child enters school, he/she is like raw clay, but as his/her education progresses, the child understands the subjects as well as develops critical thinking. It is very important to prepare the young kids to go to a school for a formal education. Early learning experiences tend to have a long lasting effect on most of the children. Keeping these things in mind, the concept of kindergarten and nursery originated. Generally, nursery has been designed for the children between the age of 3 to 5 years. It is more focused on the activities and learning by play. It helps a child understand the concepts of studies and a school. It is a pre-school type of institution. It is more than child-care. However, the curriculum is less difficult in comparison to a primary school. The name ‘kindergarten’ was given by the German Friedrich Frobel, who created the first institution like this in Germany in the year 1837. Generally, it is used to denote the first year of compulsory schooling which focuses on the children with age equivalent to five years. These institutions are custom-made to suit children of this particular age. In countries where kindergarten is meant for the children up to five years of age, any six year old child is eligible to take admission in the first grade of school. In this context, nursery is followed by kindergarten and unlike nursery, kindergarden is regarded to be a part of a formal education system. Kindergarten denotes the first year of formal schooling. It focuses on the children aged five years. Generally, nursery is used to denote a preschool that focuses on the children from three to five years of age. Kindergartens are supervised by the Ministry of Education, Culture, Sports, Science and Technology. Nursery schools come under the jurisdiction of the Ministry of Health, Labour and Welfare. Kindergarten programmes are generally scheduled for three to four hours daily, five days a week. 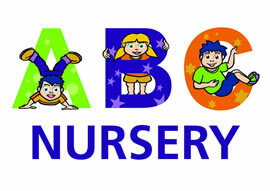 Nursery programmes are normally scheduled for two hours, several days a week. The child must be 5 years of age by a specific date/month, which is decided by the school. A 3 year old child can be admitted to a Nursery. Child has to be toilet/potty trained. Normally, nursery education is very expensive. The term kindergarten is rarely used in Britain to describe pre-school education. Pre-school education in nursery classes or schools is fully funded by local government for children aged over three years. Lower Kindergarten - focussing on children from 3 to 4 years of age. Upper Kindergarten - focussing on children from 4 to 5 years of age. Focussing on children from 2 to 3 years of age. They are also known as Playgroups.